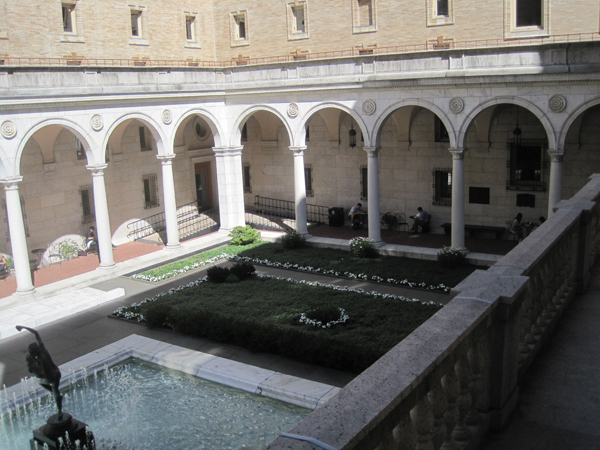 Aligning the southern edge of Copley Square is McKim, Mead & White’s Boston Public Library. At its opening in 1895 the Renaissance Revival building was proclaimed a “palace to the people.” The building is ornamented by many lavish embellishments including monumental inscriptions, sculpture, murals, and light fixtures. 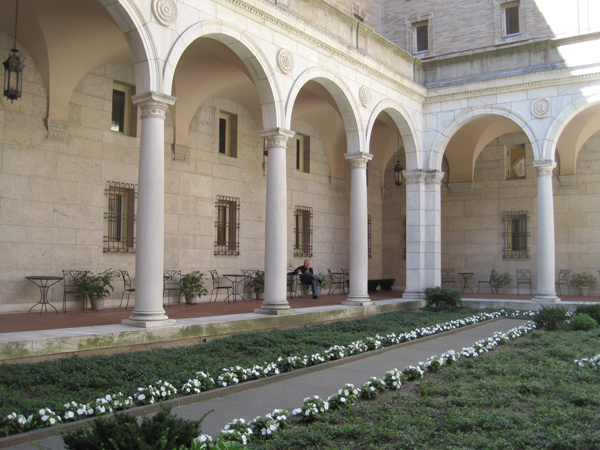 Nestled into the building’s core is an open-air courtyard closely based on that of the sixteenth-century Palazzo della Cancelleria in Rome. 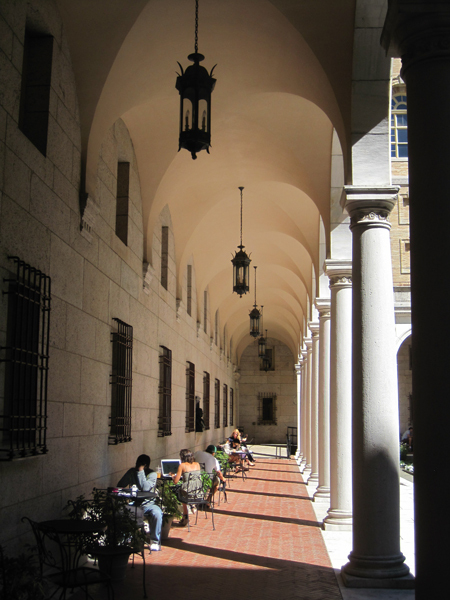 Designed in the manner of a Renaissance cloister, the courtyard is surrounded by an arcaded gallery. In the middle is a small plaza with a square fountain basin. 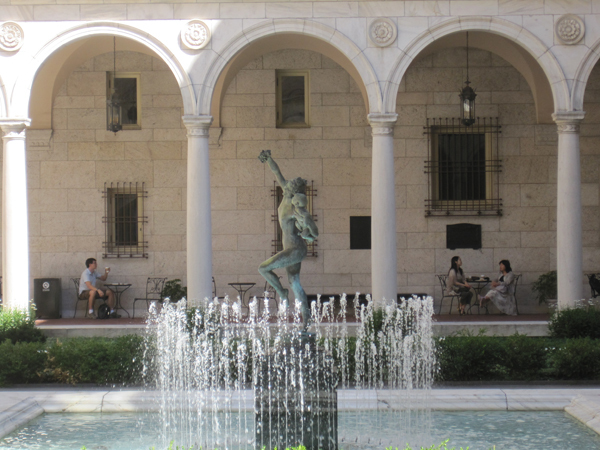 At the center of the basin is Frederick William Macmonnies’ "Dancing Bacchante and Infant Faun" atop a granite plinth, animated by a circle of water jets. 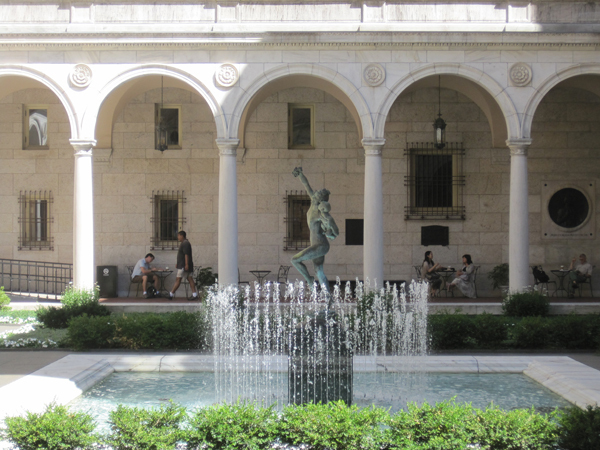 On opposite sides of the fountain plaza are two large lawn panels, each with a compact evergreen perimeter hedge and ornamented by annual plantings. 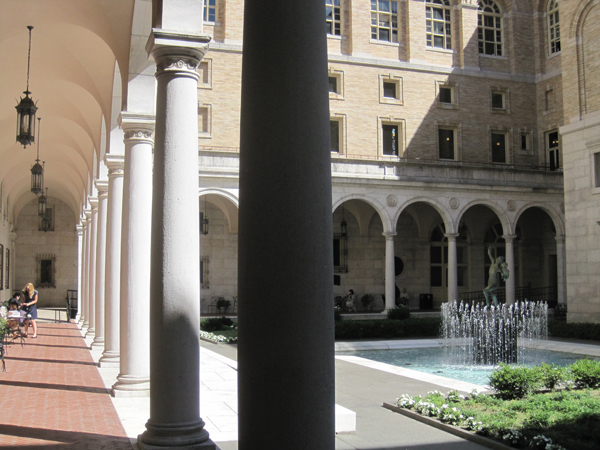 The view from inside the courtyard provides a glimpse of the campanile of Old South Church. The library was listed on the National Register of Historic Places in 1973 and designated a National Historic Landmark in 1986. Today the courtyard houses a cafe.